This industrial valve is exported and supplied by us from Singapore. They are used in pressure instruments. 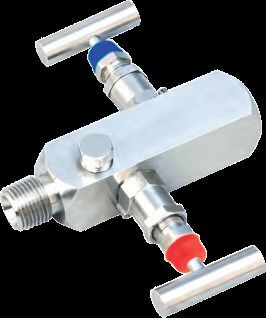 The valve we supply belongs to KMF-04 series. The material used to build the instrument belong o grade AISI 304SS/AISI 316 SS/AISI 316LSSand the metal used is monel or Hastealloy C. It can bear temperature up to 240 0 C and a pressure 400 bar. The size of the processing side is ½ “NPT(F) and the instrument side is also same. The vent/test size is ¼” NPT (f).